SquareezMetr, designed by Infinite Peripherals, is a Square-powered taxi metering system. It’s already in wide use in Washington DC and elsewhere. $US27 billion payments company Square has launched the Square Reader SDK, which lets developers build apps that integrate with its payments hardware. It means that customers can use Square hardware and services to accept payments, without having to use its software. 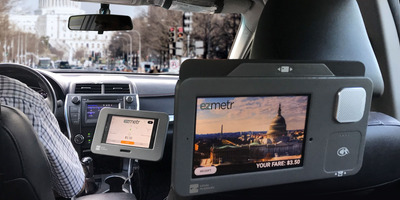 It’s already in use: Shake Shack uses it for its first wave of self-serve kiosks, and some cabs have started to use ezMetr, a new Square-powered taxi metering system. Square says it gives the company a foothold into more niche markets where it couldn’t go before. Square, the $US27 billion payments company, is best known for two things: First, that it’s led by Jack Dorsey, who also serves as CEO of Twitter; and second, the Square Reader, its ubiquitous $US10 smartphone dongle for taking card payments. On Thursday, Square announced that for the first time ever, the Square Reader – along with its more recent hardware offerings, including the updated readers for chip card and contactless payments – will be open for software developers to do with as they may. In other words, Square customers can use Square hardware and Square services to take payments, but they don’t need to use Square’s own software for the first time ever. 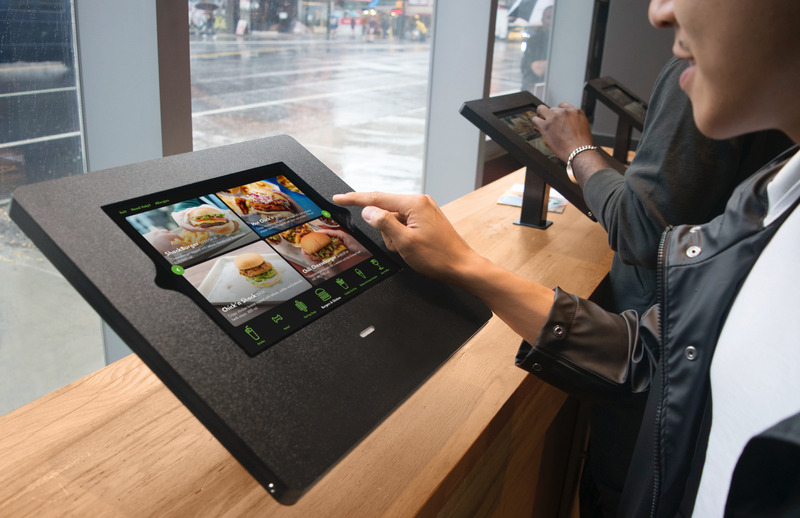 For instance, New York City-based burger chain Shake Shack has built its first wave of self-service ordering kiosks, using a custom app powered by the Square Reader. A developer called Infinite Peripherals made a Square-powered meter for taxi drivers that lets riders pay by app, by card, or by Apple Pay and similar contactless services. To Square, this represents new opportunity: The company would never build a taxi meter itself, nor would it build an app to customise the perfect burger. It meant that for super-specific markets, Square just wasn’t the right choice. “Not every seller can use the solutions that Square has,” says Carl Perry, developer platform lead at Square. SquareThese Shake Shack payment kiosks are powered by Square on the backend. Meanwhile, Square already has some developer support, as it is: Outside services like website creation tool Weebly and accounting tool Xero hook into the Square system – sometimes, in ways that are directly in competition to Square’s own product lineup. Perry says the solution is transparency with its partners, too, even as today’s news means that its developer ecosystem is set to grow. Square is far from the only payments company trying to woo developers. $US9 billion payments startup Stripe and $US18.3 billion Dutch company Adyen both compete in this space, offering developers a way to easily accept payments in their apps. But Square believes its special sauce isn’t just the payments themselves, but rather the fact that customers get access to all of the company’s other products and services. For instance, Square offers the sellers who use it access to tools for booking appointments, setting up online storefronts, invoicing, and inventory management. When a developer builds a Square Reader app, they can hook into all of those other things, too.